Hey everyone, it’s time for another giveaway! BusOnlineTicket.com is excited to share lots of amazing perks with everyone, and this time around we have exclusively partnered with KKKL Express to offer 500 FREE TICKETS for bus ticket bookings on BusOnlineTicket.com! So, what are you waiting for? Check out our latest discounts and offers below and stand a chance to win prizes with our FB Giveaway! Enjoy a 2-way trip at the price of one! Book a 2-way trip between Butterworth to KL with KKKL Express and pay only for the first ticket! Use code: KKKLBT on check-out page once you have selected KKKL Express bus ticket between Butterworth and KL to get your return ticket for FREE worth of RM35. Now that’s totally a super-saving 100% discount to enjoy! Offer is valid from 20 March to 19 April 2019, limited up to 500 tickets. Free tickets are entitled for customers who book 2-way KKKL Express bus ticket between Butterworth and KL via www.busonlineticket.com ONLY. Customers must key in the discount code on the payment page to get the free ticket. Free ticket can be redeemed for travelling dates between 20 March 2019 and 30 April 2019 only, subject to availability. Free ticket is only redeemable on web booking only. Any other charges, including (but not limited to) processing fee, travel insurance, personal expenses or accommodation request, shall be borne entirely by the customers. No complaints, appeals, inquiries and/or correspondence on this offer from any Customers will be entertained. The management of BusOnlineTicket.com reserves the right to change the terms and conditions of this promotion without prior notice. Watch our KKKL Express video on Facebook and stand a chance to win free 2-way bus ticket between Butterworth and KL. Visit our BusOnlineTicket.com Facebook page and watch our KKKL Express video. Next, like the page, like and share the post to your friends and answer the given question in the comment section. Make sure your accounts are public or we won’t be able to see you! 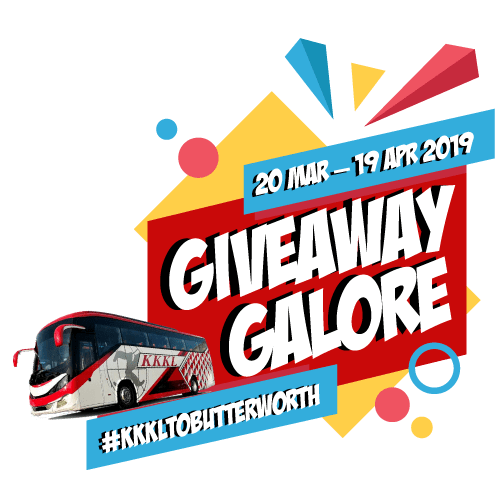 We will randomly select 7 winners every week for the prize of 2-way KKKL Express bus tickets between Butterworth and KL worth of RM70 per winner, from 20 March to 19 April 2019. In total 31 winners will be announced on our Facebook page, so stay tuned with us! The selected winners must complete the required actions prior the redemption of the free tickets. The winners will be randomly selected from the Campaign. The selected winners each will receive a unique discount code to redeem the free tickets. Free tickets are only applicable for KKKL Express bus ticket between Butterworth and KL and not exchangeable and/or transferable to cash. The selected winner is allowed to redeem the ticket with travelling date from 20 March 2019 to 30 April 2019 only, subject to the availability. Any other charges, including (but not limited to) processing fee, travel insurance, personal expenses or accommodation request, shall be borne entirely by the selected winner. 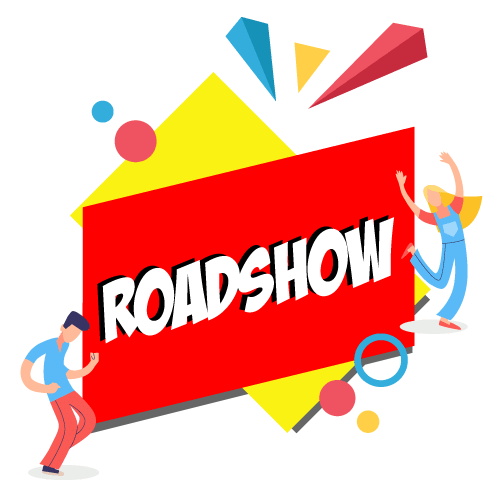 BusOnlineTicket.com will be in Penang Sentral for a 3-day roadshow and we have prepared exciting offers for you. Join us at Penang Sentral and see what we’ve got to offer. See you there! Don’t miss this chance to get amazing offers from the Giveaways Galore. Thank you for joining us and stay tuned for updates!